Four complexes of Co(II), Ni(II), Cu(II), and Zn(II) with isoxicam (H2ISO) as ligand, namely [Co(HISO)2(H2O)2]⋅3H2O (Co–Iso), [Ni(HISO)2(H2O)2]⋅0.5H2O (Ni–Iso), [Cu(HISO)2(H2O)] (Cu–Iso), [Zn(HISO)2(H2O)2]⋅0.5H2O (Zn–Iso), have been synthesized and characterized by FT-IR, UV–Vis–NIR, 1H NMR, TG/DSC, elemental analysis, magnetic and conductivity measurements. The following permanent cell lines were used to evaluate the cytotoxic activity of the compounds: LSCC-SF-Mc29, strain E7 (transplantable chicken hepatoma induced by the myelocytomatosis virus Mc29), LSR-SF-SR (transplantable sarcoma in rat, induced by Rous sarcoma virus, strain Schmidt-Ruppin), MCF-7 (luminal A type breast cancer), HeLa (human carcinoma of the uterine cervix) and Lep-3 (human non-tumor embryonal fibroblastoid cells). Short term experiments (24–72 h) with monolayer cultures were performed by MTT test, neutral red uptake cytotoxicity assay and double staining with acridine orange and propidium iodide as well as long term experiments (20 days) with 3D cancer cell colonies in semi-solid medium. 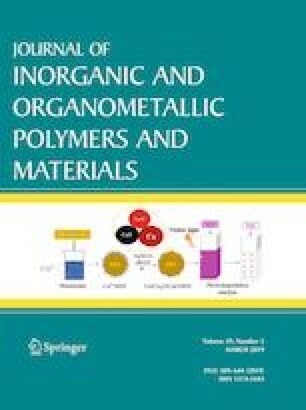 The results obtained reveal that: (i) applied at a concentration range of 5–500 µg mL−1 the compounds investigated decrease in a time- and concentration-dependent manner viability and/or proliferation of the treated cells; (ii) metal complexes are more pronounced cytotoxic agents as compared to isoxicam; (iii) cell-specific response was observed—Cu–Iso expresses the highest cytotoxic activity in LSCC-SF-Mc29 (strain E7) cells, whereas Zn–Iso is the most effective compound in LSR-SF-SR and Lep-3 cells, and Co–Iso—in HeLa cells; (iv) in general, human non-tumor Lep-3 embryonic fibroblastoid cells are relatively less sensitive to the cytotoxic activity of the complexes as compared to human cancer MCF-7 and HeLa cells. Daniela Cristina Culita and Lora Dyakova have contributed equally to this work. This study was supported by Grant No. DFNI Б-02/30 from 12.12.2014, National Science Fund, Bulgarian Ministry of Education and Science, a bilateral project between Bulgarian Academy of Sciences and Romanian Academy and partially by a grant of Ministry of Research and Innovation, Project Number PN-III-P4-ID-PCE-2016-0321. The authors thank Dr. Anamaria Hanganu for 1H NMR analysis.